A lot of people have questions on taxes, including Value-Added Tax or VAT on the sale of Real Estate, so I will try my best to explain it as simply as I can. The subject of taxes is quite technical so I apologize if my explanation may seem quite hard to digest at times. Why should we learn about taxes? Why is it important to know whether the sale of a certain property is subject to VAT and Creditable Withholding Tax (CWT), or Capital Gains Tax (CGT)? 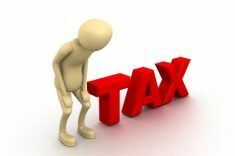 To put it simply, if you pay the wrong tax, for example, CGT instead of VAT and CWT, you may be liable for deficiency VAT and CWT plus penalties, and you would have to undergo a long and difficult process to get a refund (Good luck in getting a refund!). elease of the Certificate Authorizing Registration (CAR) which you need in order for the title to the property to be transferred to the name of the buyer. In addition to the above, VAT should be considered in the pricing of real estate sold. 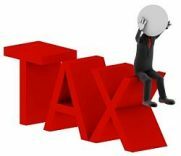 Note that compared to a capital asset subject to 6% CGT, an ordinary asset will be subject to CWT of as high as 6% plus 12% VAT. Thus, VAT may make or break a transaction, or lower the profit of the seller. When is a sale of real property subject to VAT? If the seller-taxpayer is a VAT-registered person, the sale of his ordinary asset shall be subject to VAT. A person should register as a VAT entity if his gross annual sales and/or receipts exceed P1,919,500.00 in a year. If he is not originally registered as a VAT entity but he exceeded the threshold, he should submit BIR Form No. 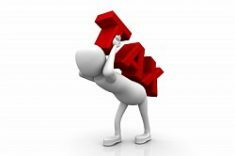 1905 (Taxpayer Registration Update) to change to VAT. Real property used in trade or business of the taxpayer. 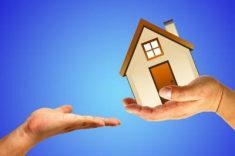 In simple terms, real property considered as ordinary assets are those which are used in the trade or business of the taxpayer. Please read Revenue Regulations (RR) No. 7-2003 in full to determine when an asset shall be considered as capital or ordinary – this is also dependent on the classification of the taxpayer. 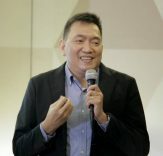 I also wrote about the Creditable Withholding Tax (CWT) here: https://www.foreclosurephilippines.com/2009/03/creditable-withholding-tax-in-real.html and the Capital Gains Tax (CGT) here: https://www.foreclosurephilippines.com/2009/02/real-estate-taxation-what-is-capital.html, you may read the said posts should you wish to learn more about them. The VAT taxpayer in this case is a person who is engaged in the real estate business and is the seller of a real property classified as an ordinary asset. Taxpayers engaged in the real estate business shall refer collectively to real estate dealers, real estate developers, and/or real estate lessors. A taxpayer whose primary purpose of engaging in business, or whose Articles of Incorporation states that its primary purpose is to engage in the real estate business shall also be deemed to be engaged in the real estate business. How about those not in the above list? Registration with the HLURB or HUDCC as a real estate dealer or developer shall be sufficient for a taxpayer to be considered as habitually engaged in the sale of real estate. If the taxpayer is not registered with the HLURB or HUDCC as a real estate dealer or developer, he/it may nevertheless be deemed to be engaged in the real estate business through the establishment of substantial relevant evidence (such as consummation during the preceding year of at least six (6) taxable real estate sale transactions, regardless of amount; registration as habitually engaged in real estate business with the Local Government Unit or the Bureau of Internal Revenue (BIR), etc.). 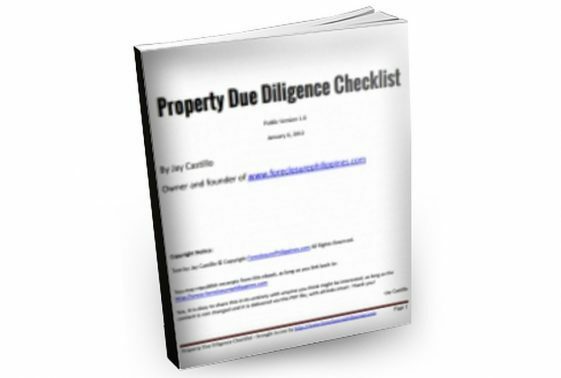 Many ask how are the six taxable real estate sale transactions counted. According to our real estate mentor, when you buy a property and later sell it, those are counted as two transactions. I believe this is the conservative position. It will actually depend on the BIR officer processing your papers. Technically, and as written, it says six “sale” transactions. Thus, if a taxpayer is engaged in the restaurant business and sells his restaurant building which he used in his restaurant business, the said sale shall be subject to VAT, notwithstanding that the taxpayer is not engaged in the real estate business. Please note thank banks are not considered as VAT taxpayers. Thus, their sale of foreclosed properties are not subject to VAT. They are subject instead to Creditable Withholding tax (CWT). Their foreclosed assets, when sold, are considered as ordinary assets but banks are not considered as engaged in the real estate business. The sale of properties which may be considered as ordinary assets would be subject to the 12% VAT effective February 1, 2006. The tax base of the 12% output VAT is the selling price (SP) or the fair market value (FMV) of the property whichever is higher. If VAT is not billed separately in the document of sale, the selling price stated in the deed is deemed inclusive of VAT. Thus, to get the selling price without VAT, divide the selling price in the deed by 1.12. To get the VAT, multiply the selling price without VAT by .12. What if the gross selling price in the document of sale is equal to the zonal value or market value of the property? Will the selling price without VAT be effectively lower than the zonal or market value of the property? No, the zonal/market value shall be considered as net of the output VAT. Please note that the VAT should be separately indicated in the document of sale and official receipt as there are penalties for non-compliance. The amount of VAT payable is the difference between the output VAT and input VAT. Keep the VAT-registered official receipts (for services purchased) and invoices (for goods purchased) supporting your business expenses so you can claim input VAT which can reduce your output VAT payable. Initial payments means payment or payments which the seller receives before or upon execution of the instrument of sale and payments which he expects or is scheduled to receive in cash or property (other than evidence of indebtedness of the purchaser) during the taxable year when the sale or disposition of the real property was made. It covers any downpayment made and includes all payments actually or constructively received during the year of sale, the aggregate of which determines the limit set by the law. In other words, add the downpayment plus all amortization payments (principal portion only) during the year and compute if the total exceeds 25% of the gross selling price. The transaction shall be treated as a cash sale which makes the entire selling price subject to VAT in the month of sale. Each installment payment actually and/or constructively received by the seller is subject to VAT. The monthly VAT return should be filed on or before the 20th day of the month following the close of the 1st two months of the quarter (February 20, March 20, May 20, June 20, August 20, September 20, November 20, December 20) while the quarterly VAT return should be filed on or before the 25th day of the month following the last month of the quarter (April 25, July 25, October 25, January 25). 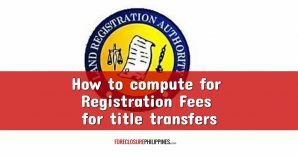 The VAT should be paid at the Authorized Agent Bank (AAB) of the Revenue District Office (RDO) where the seller is registered as a taxpayer. In places where there are no AAB, the return shall be filed directly with the Revenue Collection Officer or Authorized City or Municipal Treasurer. 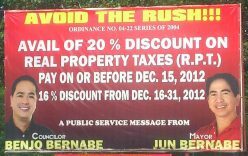 Sale of residential lot not exceeding P1,919,500.00 (effective January 1, 2012, as per RR No. 16-2011). If two or more adjacent lots are sold or disposed in favor of one buyer, for the purpose of utilizing the lots as one residential lot, the sale shall be exempt from VAT only if the aggregate value of the lots does not exceed P1,919,500.00 (effective January 1, 2012, as per RR No. 16-2011). Sale of residential house and lot not exceeding P3,199,200.00 (effective January 1, 2012, as per RR No. 16-2011). In practice, condominiums use this amount as the VAT threshold. I wrote about the increase in the VAT threshold effective January 1, 2012 here: https://www.foreclosurephilippines.com/2011/11/threshold-for-vat-exemptions-to-be-increased-effective-january-1-2012.html. 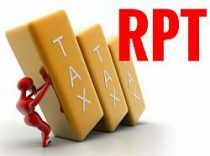 RR 3-2012 clarified that the increased thresholds shall apply to those sales whose supporting instruments were executed or notarized on or after January 2, 2012 ftp://ftp.bir.gov.ph/webadmin1/pdf/62308RR%203-2012.pdf. 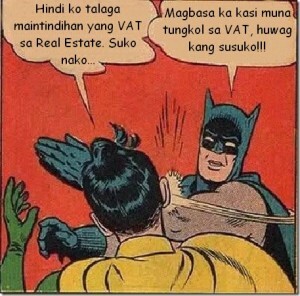 I hope somehow this post helps you in understanding VAT on the sale of real estate. I shall discuss VAT on the lease of real estate in a separate post. If you are knowledgeable on the topic and I have discussed something erroneously, I would appreciate it if you could assist me in correcting it. Please note that VAT on real estate is a very broad topic in itself so this is already an abridged discussion. I strongly recommend that you read the rulings cited as it is highly possible that the answers to your questions may be found there. Feedback and comments are highly appreciated. Let me know what you think, or what you want to know, by leaving a comment below, and don’t forget to subscribe to get notified when we publish new articles about real estate taxation. Thank you! This article is for general information only and is not a substitute for professional advice where the facts and circumstances warrant. While every effort has been used to ensure the accuracy of the information provided, the author disclaims any liability from the direct or indirect use of this material.